The Royal Government of Bhutan and the Government of the People’s Republic of Bangladesh will convene the 7th Bhutan-Bangladesh Commerce Secretary Level Meeting from 12-13 February 2019, in Thimphu. The Bangladeshi delegation will be led by Mr. Md. 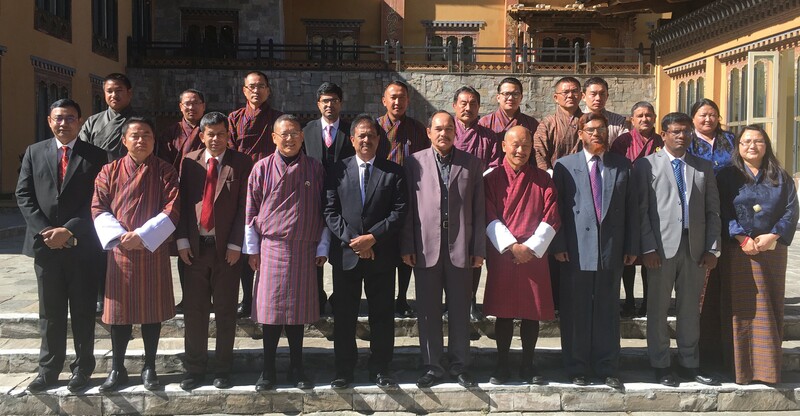 Mofizul Islam, Hon’ble Secretary, Ministry of Commerce, Government of the People’s Republic of Bangladesh and Bhutanese delegation will led by Dasho Yeshi Wangdi, Hon’ble Secretary, Ministry of Economic Affairs, Royal Government of Bhutan. The main objective of the meeting is to exchange ideas and explore new areas of cooperation to promote trade and commerce between the two countries. The meeting will review the implementation of the decisions taken during the last Commerce Secretary Level Meeting and also discuss on issues pertaining to trade, transit, investment and tourism, which are of mutual interest to both the countries. The Bilateral Trade Agreement between Bhutan and Bangladesh was initially signed in 1980. Since then, trade between the two countries has grown steadily over the years. In 2017, total trade value between the two countries touched Nu. 3,815.46 million which stood at Nu. 2,616.13 million in 2016. Bangladesh has been recorded as the second largest trading partner as well as the second largest export market for Bhutan. The last Commerce Secretary Level Meeting was held from 21-22 December 2017, in Bangladesh.